Masabi, a London-based developer of mobile ticketing technology, unveiled a proof-of-concept Android application that uses NFC to read and display the contents of ITSO-based transport ticketing smart cards. 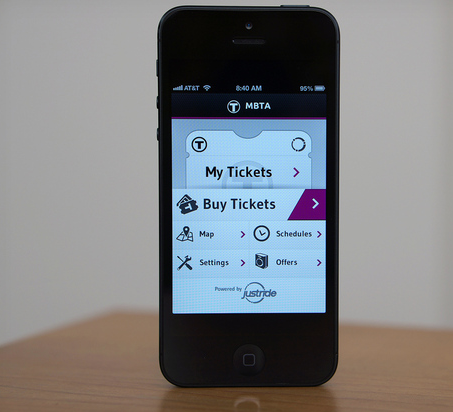 According to Masabi, this “Smart Card Buddy Beta” app paves the way for smart card ticket validation on low-cost smart phone hardware, eventually enabling passengers to buy rail tickets or purchase credit for their smart card on their NFC-enabled handset rather than at an in-station terminal. Although the proof of concept app is designed to operate with the ITSO smart card standard being used in the UK, it could be adapted to any NFC contactless technology, according to Mabasi. The Smart Card Buddy Beta app can now be downloaded on NFC-enabled handsets from the Google Play Marketplace.